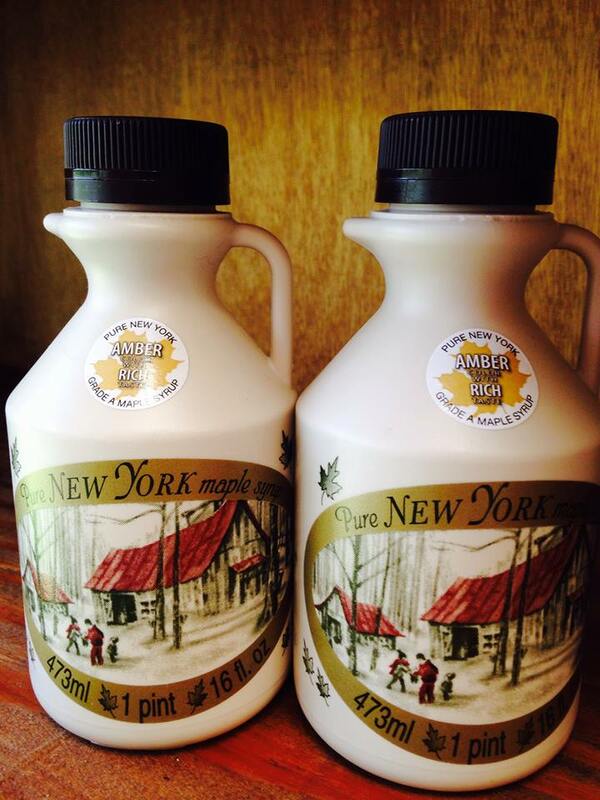 PURE NEW YORK MAPLE SYRUP is now available! Pure maple syrup is derived by simply boiling the excess water out of maple sap. The result is 100% pure maple syrup containing only the flavor, sweetness and nutrients that nature has provided. Pure maple syrup is delicious on ice cream, in cereals, yogurt, coffee and tea, over pancakes, waffles, French toast and freshly cut fruit. Order yours today!